Horsham Mid City Court Motel boasts large & spacious rooms suitable for Business people, Families or Couples. All rooms are ground floor – some have outdoor seating areas. Within easy walking distance to May Park with its public BBQ & playground facilities Horsham Mid City Court Motel is also just one block from the Horsham Post Office. Shops, clubs, restaurants & cafes are just a short walk away. Horsham is the gateway to Western Victoria & the scenic Mt Arapilies & Little Desert. So, whether you are traveling on business or looking for a quiet spot for a family getaway or couples retreat, our friendly & helpful staff are looking forward to welcoming you to Horsham’s most centrally located & friendliest motel! Click on Tripadvisor logo for recent reviews. 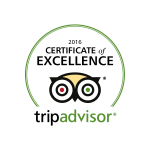 Awarded the TripAdvisor Certificate of Excellence for consistently earning great reviews from travellers! 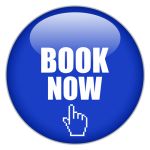 SPECIAL RATES AVAILABLE MOST WEEKENDS THROUGHOUT WINTER. For best rates at all times contact us direct on 1800 033 141.